Runecast released Runecast Analyzer 2.0 providing a new dashboard look and adding new features such as the Historical Analysis function. 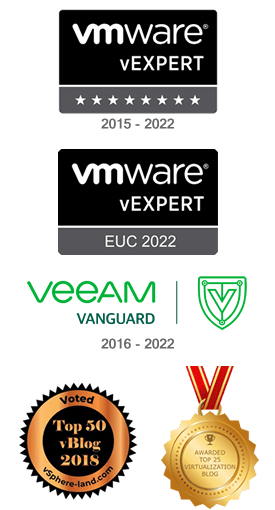 Runecast Analyzer is a software solution that proactively uses VMware KBs, best practices and security hardening guides to analyze and protect your VMware virtual environment. 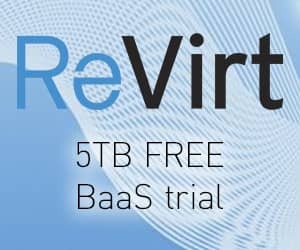 Potential issues and best practices violations are exposed to avoid services disruption in your virtual environment. 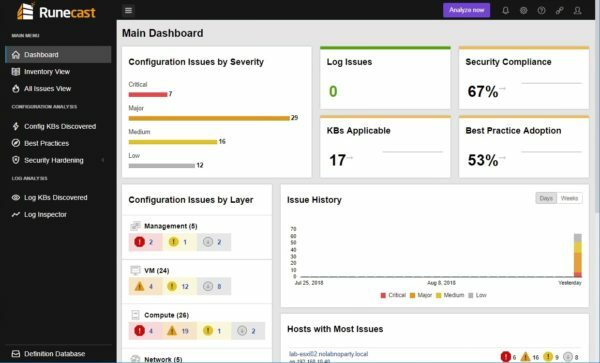 The software is constantly under development to support the high demanding business requirements and introduced in the last versions the support for vSAN, vSphere 6.7, and NSX-V. Last, but not least the capability to detect Intel processors affected by L1 Terminal Fault (L1TF) vulnerability. 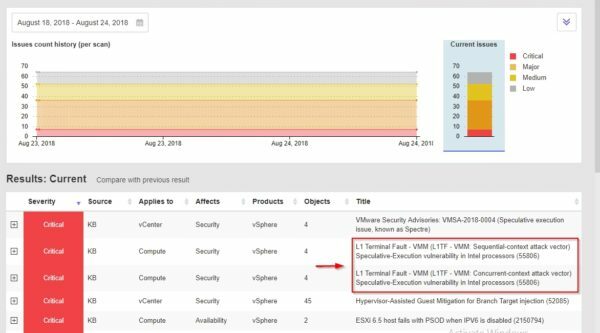 The analysis of the infrastructure can discover what vSphere components need your attention to prevent issues in a matter of seconds. The dashboard has now a new look for a better readability improving the usability. A new widget Hosts with most issues has been added to the dashboard showing the most critical hosts. 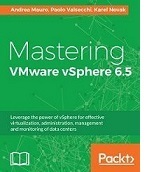 Analyzing vSphere, vSAN, and NSX-V components, a lots of results can be displayed making the readability more tricky. To solve this issue, interactive filters have been added to the All Issue View section in order to simplify the search for specific areas. 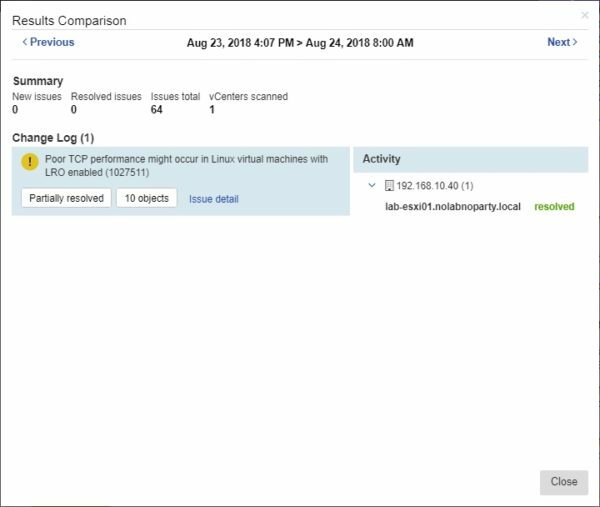 Version 2.0 introduces the Historical Analysis capability that allows to store and display all detected and resolved issues over time for every connected vCenter. This new cool feature allows the administrators to quickly identify when a specific issue arose in order to fix the problem. Clicking on Compare with previous result, you can make a comparision between current selection and previous scan. The result allows the administrator to identify changes in the infrastructure, fixed issues, and so on. 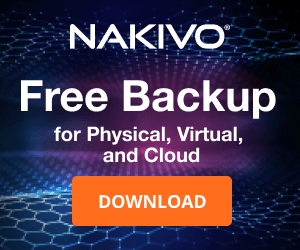 Technology generally used by banks, financial institutions, etc., the compliancu of the Payment Card Industry Data Security Standard (PCI-DSS) can be difficult to manage. 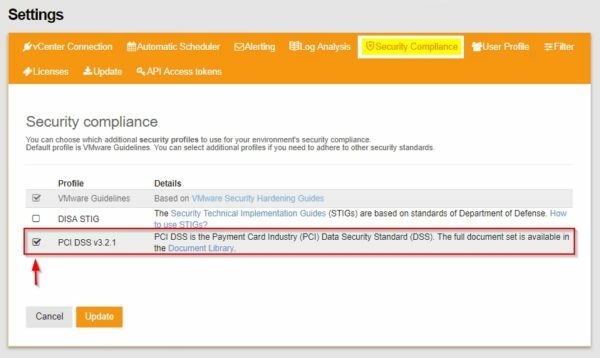 The new Runecast Analyzer 2.0 allows to enable automatic PCI-DSS rule check against VMware setups and fix detected standard violations. To take benefit of this new function, you must first enable the PCI-DSS profile from the Settings section. 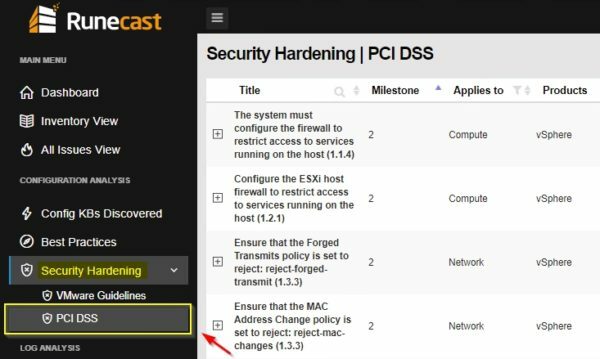 After scanning the vCenter Server, go to Security hardening menu and click PCI DSS to check detected issues. 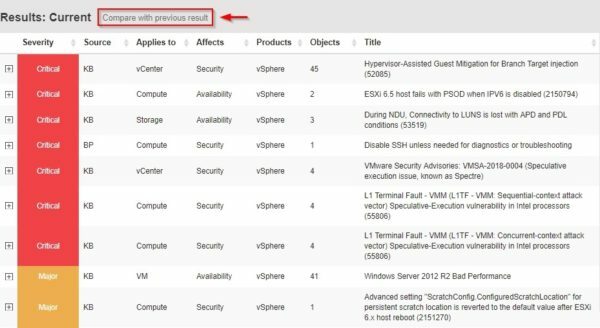 In addition to vSphere Web Client 6.7 support, in version 2.0 Runecast now supports also the vSphere 6.7 HTML5 web-plugin. Check out this post for Runecast plugin installation. The plugin can be installed/updated from Settings > vCenter Connection area. Since new components have been added to the new release, a in-place upgrade to version 2.0 is not available. 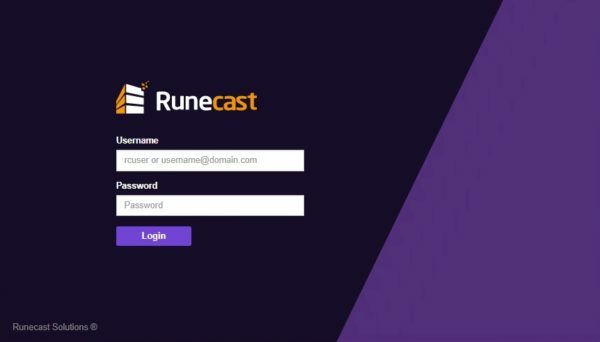 If your Runecast installations have several filters and notes defined that require a lot of time to be reconfigured, Runecast support will help you to migrate your settings. 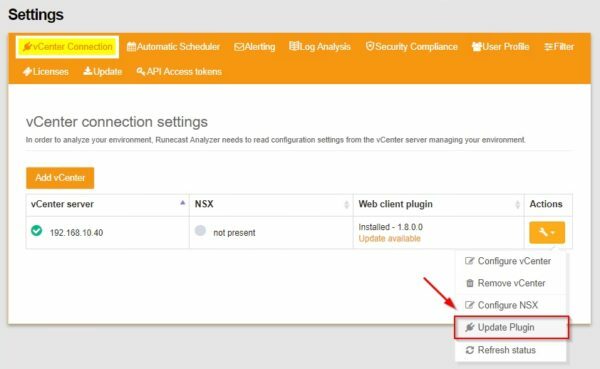 To use the new version, you need to dowload Runecast Analyzer 2.0 and deploy a new appliance. After the deployment has been completed, enter the default credentials to access Runecast Analyzer. 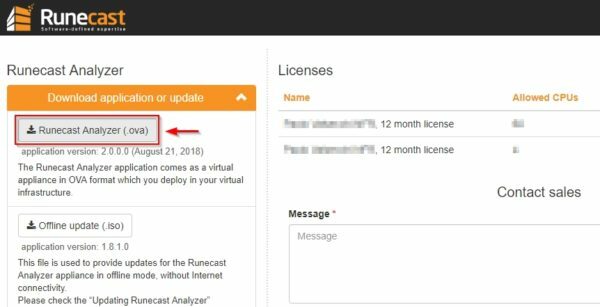 Runecast Analyzer 2.0 is available to download as free 14-day trial.